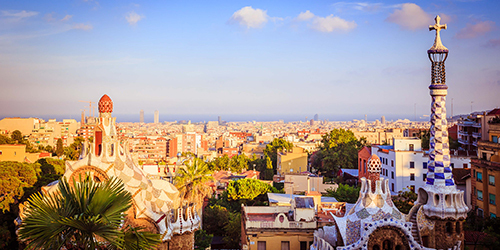 Starting this June, you’ll have the opportunity to spend six weeks with UMBC Biology faculty member, Dr. Ivan Erill, in beautiful Barcelona, Spain as you complete 5-7 credits of UMBC coursework. Located on the northeast coast of Spain, Barcelona is the largest industrial city of Spain and the busiest commercial port of the Mediterranean. It is Spain’s second most populous city and, due to its proximity to France, an extremely cosmopolitan, open and integrative city. Barcelona enjoys remarkable warm weather for most of the year, beautiful beaches, striking architecture and a vibrant city life. Barcelona is also a hub for biotechnology and biomedical innovation in Europe, hosting three of the largest biomedical research institutes in Europe, eight research hospitals and three world-class research universities. Barcelona is not just a perfect destination for students to hone their language skills and enjoy its vibrant city life, but also an ideal environment to learn biology and establish long-lasting peer networks to drive future internationally-oriented careers. Dr. Ivan Erill, an associate professor in Biological Sciences,and an affiliate associate professor in Computer Sciences, is the director of this study abroad program. Dr. Erill is a native of Barcelona and has intimate knowledge of the city, the region and its culture. Due to his extensive familiarity with the area,Dr. Erill will offer students additional outside activities that they might not otherwise consider, such as a day at a local beach followed by an authentic local dinner.